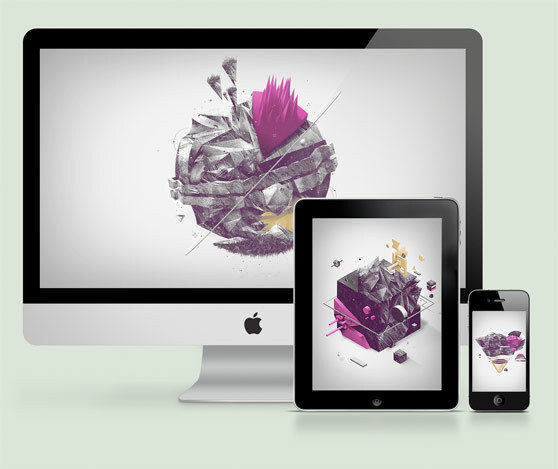 We have an amazing wallpaper pack to share this week. This collection is titled "Altered" and was created by an incredibly talented designer named Rogier de Boevé. Rogier is 23 year old graphic designer from Belgium. You can see more of his work by visiting his website at http://rogierdeboeve.com/.